Good design, printed at 1.2X with supports as the arms weren't flat on the bed. 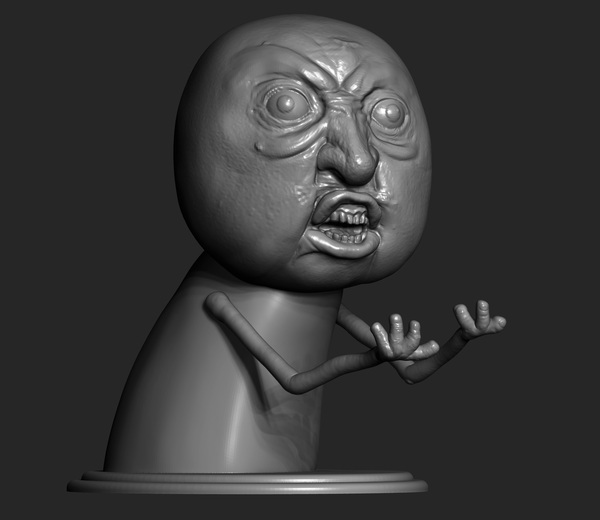 Currently using filament as replacement arms and will print arms if they come in a separate file. 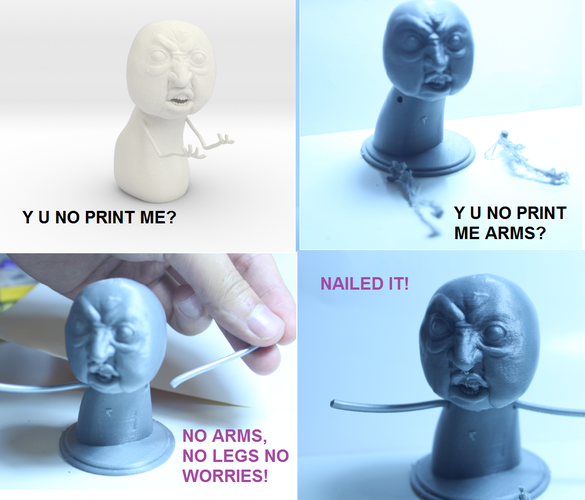 Every time I look at him, he screams "Y U NO PRINT MY ARMS PROPERLY?"